In this guide we’re going to teach you the extremely easy way you can watch British TV in Malta. The process is so simple in fact that it will take you less than 5 minutes to complete. Malta is a great country without a doubt but if you’re hankering for some good old British TV then you’ll be sorely disappointed with local TV services. While it’s possible to find a few British TV programmes, it’s impossible to get them all. 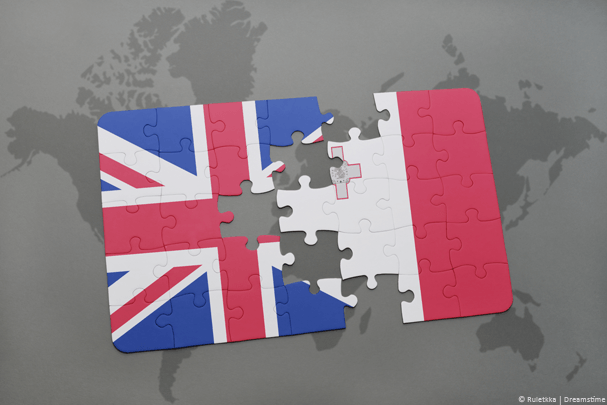 The easiest way to watch British TV in Malta is to use online streaming services such as BBC iPlayer but if you’ve already tried to access those then you’ll know you’re blocked from viewing while in Malta. The good news is there is a really small app called a VPN that will allow you watch British TV in Malta with ease. Below we’ll show you how. The reason you’re blocked is obvious. You’re in Malta and the UK streaming services are intended to be watching only within the UK. All you need to avoid the block above on BBC iPlayer and all the other free-to-air and subscription services from the UK is to get yourself an app called a VPN. A VPN will allow you to bypass the block on any Android, iOS, Windows or Mac tablet, phone, laptop or computer. Just follow the 5 simple steps below. If you’re looking to watch on a SmartTV then see further down in the guide. Install the app, run it and login when required. The good news is the app takes care of all the hard work for you and gets you connected to the UK. Once it’s connected (which only takes around 15 seconds) it’ll let you know. Any websites you now visit will think you’re in the UK rather than in Malta. If you’re struggling to find the correct options or you think it’ll be too hard just take a look at these examples on both a mobile and desktop device to show you how easy it really is. Now you’re connected all you need to do is head over to your favourite online streaming service. We’ve rounded up a few of the best British TV services below which you can now visit but essentially you can visit any free-to-air service or any that you have a subscription for. They will all now work in Malta. That’s all there is to it. When you’ve finished watching all you need to do is press Disconnect on the app and your internet connection returns to normal. 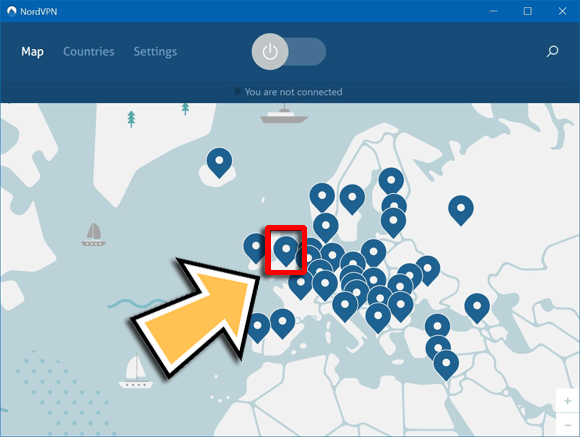 There are no additional charges and you can reconnect at any time and as many times as you wish as long as you have a valid subscription to NordVPN. If you want to check out a few more options for VPN services then we recommend checking out ExpressVPN and CyberGhost VPN. They work exactly the same as NordVPN above. 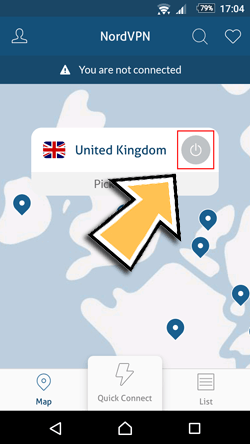 Now you’ve got a VPN service you can watch any online streaming website from the UK. Below is a list of the best. If you’ve got a SmartTV then unless it’s running an Android interface which is unlikely then you’re going to need a hardware solution. Unfortunately, it will work out more expensive than if you use a tablet, phone or computer. To watch British TV on a SmartTV in Malta you’ll need to buy a device called an InvizBox Go. The InvizBox Go is a hardware device that creates a new Wi-Fi connection with built in VPN functionality. You can get one by clicking here. Once the device arrives and you’ve set it up using the included instructions a new Wi-Fi hotspot will be created. You should connect your SmartTV to this hotspot. Once connected you’ll be able to launch the British TV streaming apps from your SmartTV and stream as if you were in the UK. This solution works best if you brought your SmartTV from the UK. You may still be blocked from downloading the streaming apps if you bought the TV in Malta so it’s worth checking that you can install or already have apps installed such as BBC iPlayer first.